But two days into the adequately-stocked hotel breakfast in Tehran, it started sinking in that the breads on the breakfast table were simply not cutting it. There was a crackery cool lavash and a few mediocre buns, but nothing that screamed to be slathered with the feta and quince jam stocked on the adjoining buffet table. This was more than mildly shocking, given the history of bread in the region and my hungry expectations of having the best bread experiences in Iran. The hotel clearly wasn’t the place to have them. Thanks to Jason’s gentle nudge, we stepped out the next morning in search of better bread. Within ten minutes, we had found a bakery with the encouraging sight of a baker and his oven right behind the display. I was mesmerized by the repetitive, precise actions of the bakers, using their fingers, glasses, knifes to create uniform designs and depressions through the length of the dough, with the resulting super fresh, golden-brown baked creations emerging out of the ovens and falling into the hands of hungry customers. This is how quality bread should be eaten, from oven to mouth. 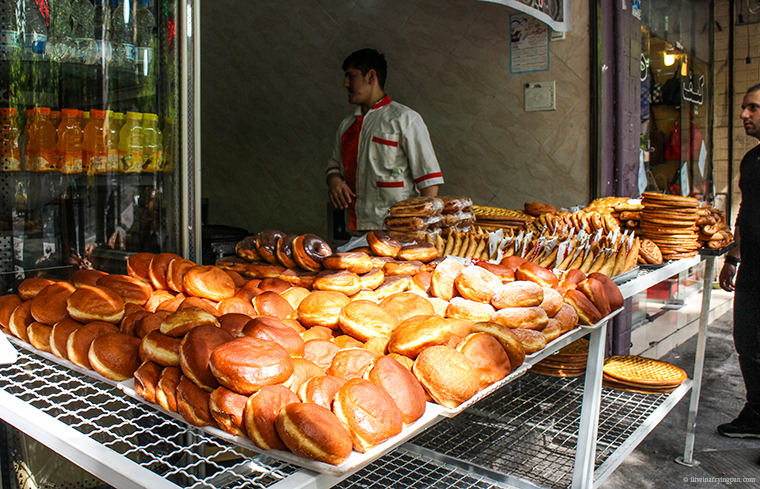 Here are some of the freshly baked breads we nibbled on during our journey of Iran. 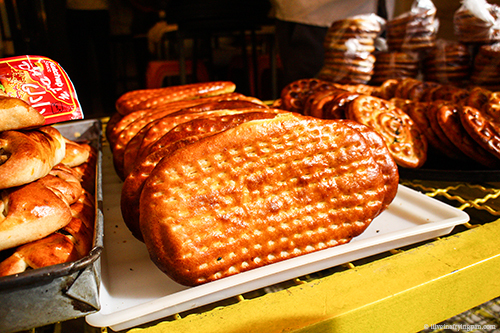 Many of them had that evasively perfect texture that only the best breads have – a crunchy biscuit-like crust, with warm doughy bellies that you want to bury your entire face into. 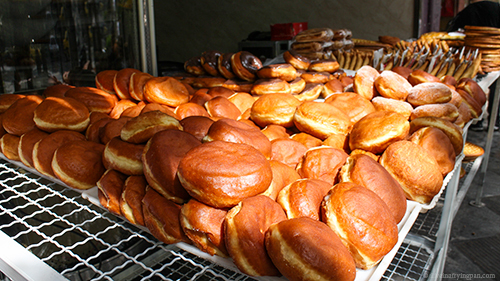 Doughnuts, plain, sugared and chocolate-coated, were aplenty but I stayed away from those (despite my admitted weakness for deep-fried dough) as the Iranian breads and biscuits caught my fancy. 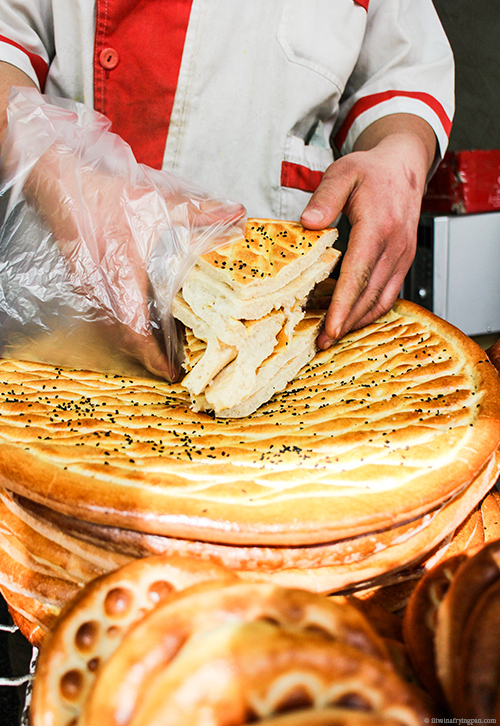 None of the most memorable breads were from the hotels, which simply could not match the flavour and texture of the fast-selling stalls on the street. 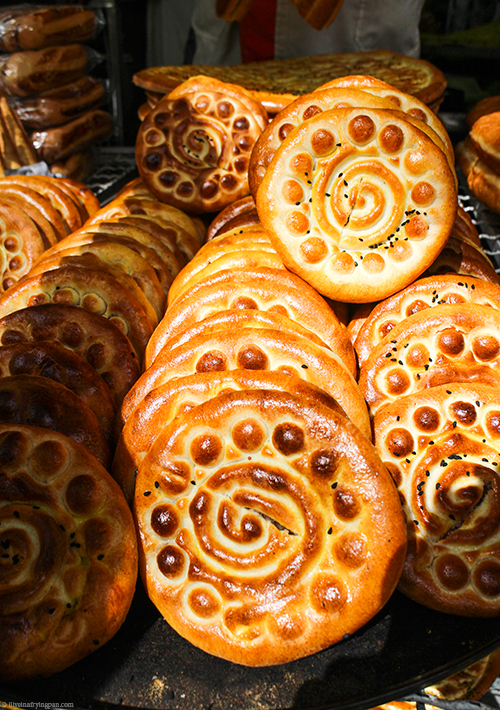 Koolocheh, arguably more a cookie than a bread. 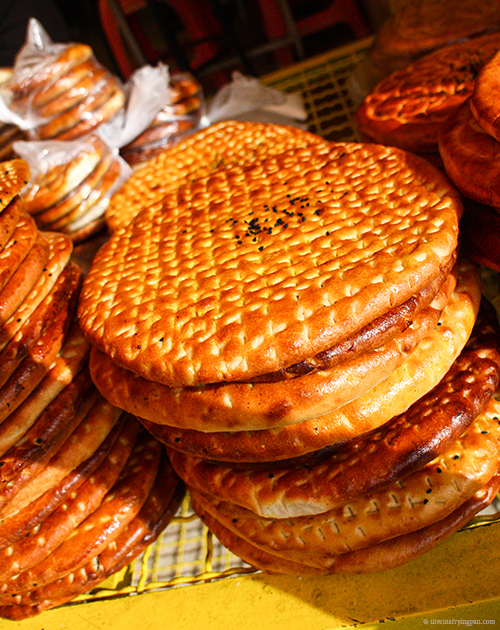 The author of The New Persian Kitchen, Louisa Shafia, relates that Koolocheh is an edible symbol of cross-cultural exchange and synthesis along the Silk Road and that the word itself derives ‘from the Old Slavonic word kolo, for “circle” or “wheel.” This cookie was moulded with the smooth, golden brown humps of a simple flower pattern on its top surface, with an inner cavity that was matted with a fragrant mix of sugar and cinnamon. I’m more than relieved that the bakeries in Dubai don’t sell this treat (or none that I know of at least) else I would surely be destined for a massive koolocheh-overdose. The original inspiration for our bread hunt was the typically oval-shaped Barberi, this being a bread I’ve read about but never seen at an Iranian restaurant table in Dubai. After a broken Persian-English-Gesturing conversation with the baker, we thought we had discovered it on our first bakery run, only to find out later that we had encountered Sheermal. Sheermal, a milk-based bread that tellingly has the word ‘Sheer’ or milk in its name. With a crusty shell glazed with butter and sequined with black sesame, Sheermal has a milky moist, subtly sweet interior that surprisingly stays tender for two days. 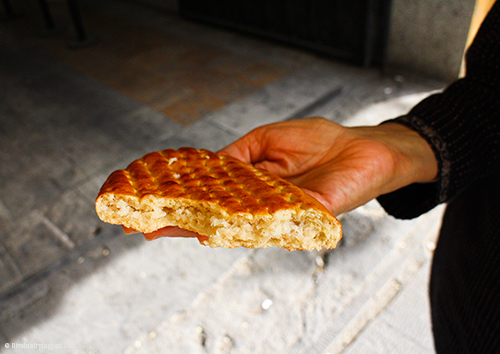 Left in a baggie near the window of our car as we whizzed across the sun-baked roads between Tehran and Isfahan, the bread became comfortingly warm again and staved off hunger pangs until we reached our lunch spot in Kashan. Moral of the story: Don’t be scared to venture out for your bread in Iran and interact with bakers who might not speak your language. The worst thing that can happen is that you’ll miss the bread you were looking for and walk away with…fresh milky moist Sheermal. A win-win if you ask me. We came across the grooved planks of Barberi in the Grand Bazaar of Tehran, where the baker refused to sell us a loaf because he was the exclusive supplier for the restaurant selling kabab sandwiches next door. But as true Iranian hospitality would demand, he just handed us free loaves to taste. 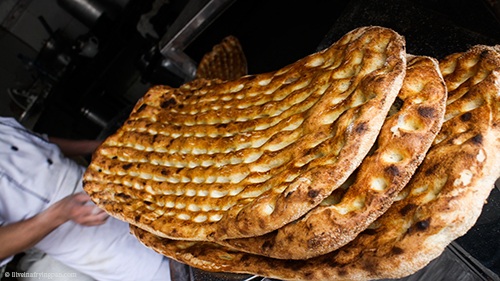 Barberi is closer to the yeasted, strong white flour breads that are more common in Western-style bakeries. In fact, the closest comparison might be a fresh crusty baguette with the powdery touch of fine flour, except that mum found the the powdery texture of the ones we ate to be quite close to ground poppy seeds. With our bread mission well underway, we stopped trying to choose which bread to buy at a bakery - one of each, please. On one such blessed and breaded morning, we found a circular pockmarked bread with a chocolate-toned paste smeared on the insides. The lovely and Arabian-Nights-beautiful Huda, a newfound friend in Shiraz, explained that this pastry is called Naan Khormaaei, and is "made from date, wheat flour, sugar, Iranian saffron, eggs, water, Rosewater - the best Rosewater is from Iran, and the best Rosewater in Iran is from Kashan, a city near Esfahan" - cinnamon, cumin and Kermanshah's Oil (because it comes from Kermanshah originally). There are many different shapes and sizes of this pastry." Darling Huda, thank you for the information and Be Umide Deedar in Shiraz! There was something surprisingly savoury about this sweet-intentioned filling which jammed my taste signals, maybe the cumin? I’m not quite sure, but the overall effort was strongly reminiscent of a more spiced-up Fig Newton. I can see this stuffed disc pairing well with a cup of sweet black tea, but if I were to pick, I’d reserve my loyalties for the sweet koolocheh instead. 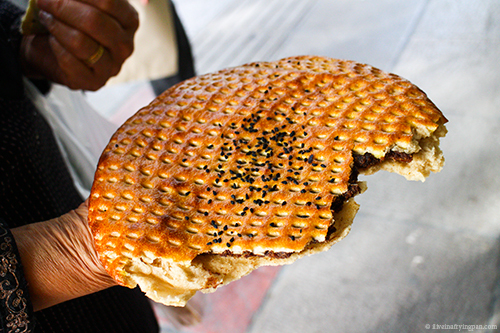 The Nargili pastry (above) stuffed with sweetened dessicated coconut was another one that was challenging to put down. You hear the comforting crunch of the pastry shell in your mouth, wonder what went into the snowy white stuffing peeking out from within, and before you know it, the pastry is gone. 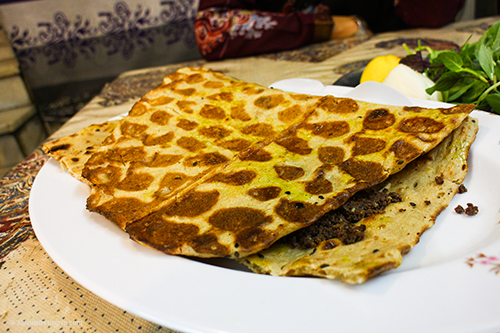 Much to my delight, sangak, a triangular leavened bread stretched out over small stones (‘sangak’) was easily available all across the three cities we visited and was often served under a pile of juice-dripping kababs at the restaurants. 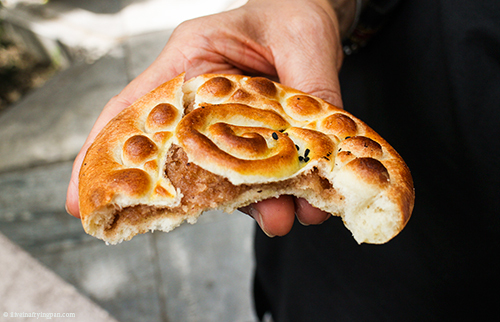 Despite everything I’ve said about how you’ve got to leave the hotels to scout for the best bread, Khan Gostar in Shiraz slides out a mean sangak – crisp, soft, chewy, all those textural wins baked into the artisanal bumps and craters along the surface of this addictive bread. 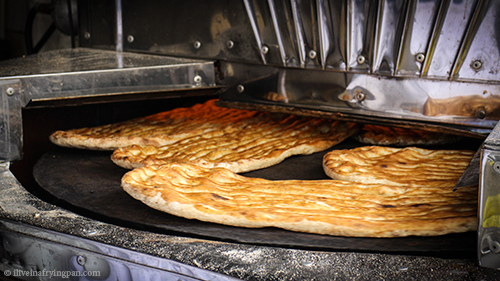 The bakeries were often so jampacked with people queuing up for their stock of bread that I shied away from snapping photos, but the good news is that you can actually find this bread being baked in the authentic style right here in Dubai. 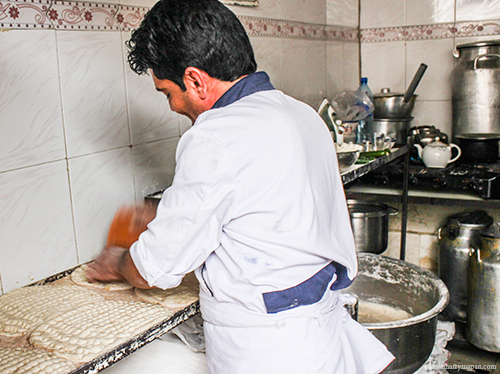 Both Abshar as well as a hole-in-the-wall bakery in Hor Al Anz bakes us stacks of fresh sangak every day. I’ve also got to share the photo of this bread, less because I felt strongly about the crackery texture and more because the appearance amusing. It resembled those plastic bubble wrapping sheets which provide excellent stress relief when you burst through ever individual plastic blister. I quickly learned that the bubbles on this bread can’t be used in quite the same way. 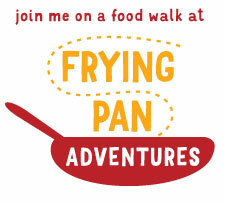 Giant waves of hunger and longing wash over even as I complete this post. 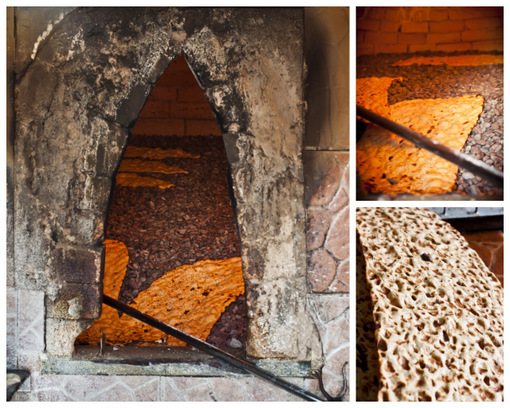 Worse, Huda has sent me a flood of Iranian cookie photos that have left me inconsolable, her love for cookies being a nation-wide sentiment: "Most Iranians like cookies so each city in Iran has special cookies." If only I had known this earlier, and if only I had a koolocheh by my side, my coffee would seem that much sweeter and morning emails would be a joy (my crumb-covered keyboard might be less grateful). 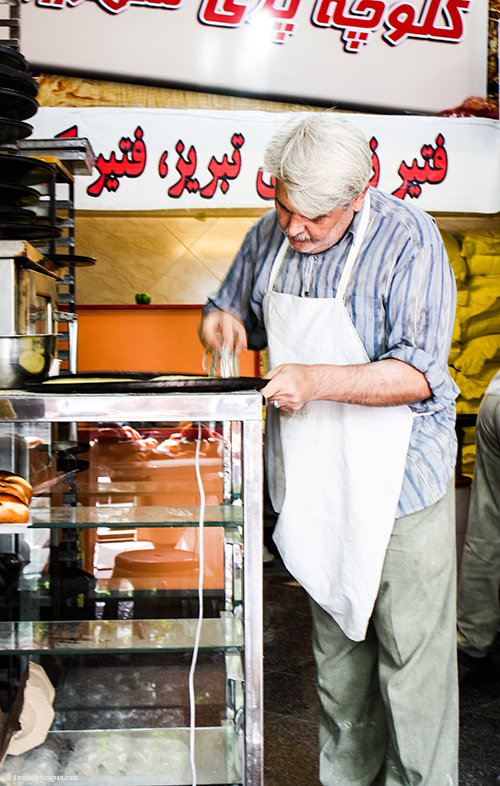 Given my love for bread and baked treats, I get goose bumps just thinking of what else awaits discovery in all the other cities and lesser known parts of Iran. I wonder if there is any connection of the Persian Koolocheh, the Czech Kolach (http://en.wikipedia.org/wiki/Kolach) and now uber popular Texan kolache (brought by the Czech immigrants)? Aaargh too late for me but thanks for putting names to some of the random baked goodies I tried on the streets of Iran. Was in Iran a couple of weeks ago. 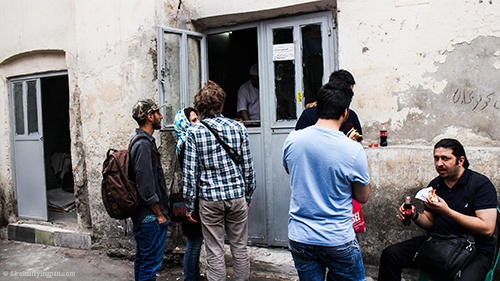 Without any Farsi and a useless guidebook, I lined up when I see locals lined, point my finger present a selection of bills for store to pick as my payment. Found some freshly backed amazing goodies which I have no idea what it is called and can only guess what’s in them. If only I have read this before …..
What a bread culture. Some of those loaves are sculptural. I loved this post. Pastries around the world are so beautiful and representative of a region’s culture. I’ve never been to Iran (yet), but you’ve certainly given me the urge to visit. Thanks for sharing! Mandy, thanks for the appreciative comment – I’m glad this post made you consider visiting Iran. Highly recommended for the discerning and culture-seeking traveler! 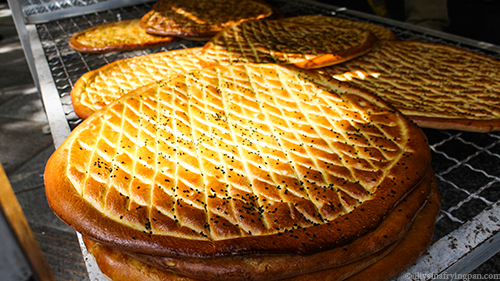 How could I get the recipe for the Nargili pastry bread? Any idea? Hi Herminia – wish I had a recipe for you but sadly I don’t! Have you tried doing a Google search? I feel like Najmieh Batmanglij’s book might have a recipe, or maybe you can contact her through http://www.najmiehskitchen.com/ . 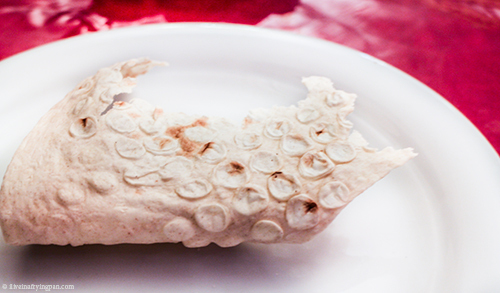 Good luck and do share if you find the recipe! Thank you for the website I will try that. I checked on google and couldn’t find a recipe for that pastry bread it sound delicious! No problem Herminia, let me know if you end up finding a recipe and making it.That pastry was totally delicious, wish I could find it again in Dubai.